The Enfield Poltergeist is the name given to the claims of poltergeist activity at a council house in Brimsdown, Enfield, England. 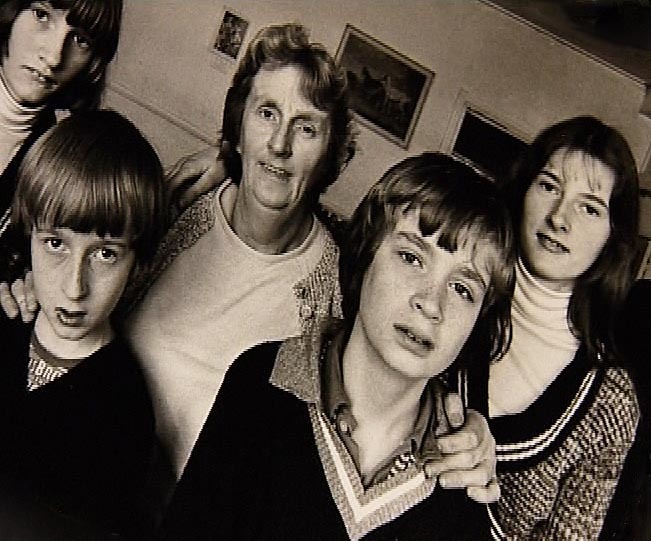 Single mother, Peggy Hodgson, and her four children (Margaret, age 13, Janet, age 11, Johnny, age 10 and Billy, age 7) were being kept awake by strange knocking sounds and furniture that moved of its own accord. 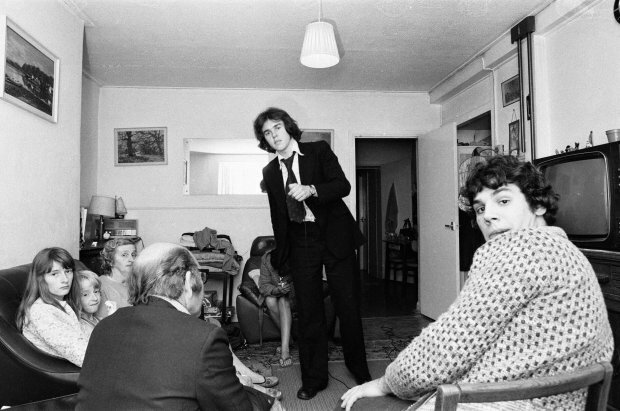 This was to be the beginning of months of activity, which would draw dozens of people to the small residence in Enfield, none of whom would be able to explain the strange events they saw. The family first appealed to their neighbour, a builder, who couldn’t account for the noises he heard, and so called the police. One of the officers to respond became the first person outside of the family to witness what was happening. A police constable said that she saw a chair slide on the floor and "was convinced that nobody there had touched it", and later claims included allegedly demonic voices, loud noises, thrown rocks and toys, overturned chairs, and children levitating. Reporters began to take an interest, with the Daily Mirror capturing photos of 11-year-old Janet Hodgson lifted off the floor, and the BBC making an attempt at audio recording, only to find their tapes became twisted and unusable. The most dedicated investigators of the Enfield Haunting were two members of the Society for Psychical Research - Maurice Grosse and Guy Lyon Playfair. Grosse’s interest in the paranormal was recent to the event, while Playfair had travelled the world investigating supposed poltergeists, and written two books on the subject. Later they would co-write "This House Is Haunted" based on the events they witnessed together, which included Lego bricks and marbles flying across the room, becoming hot to the touch and landing on the floor in an unnatural way. 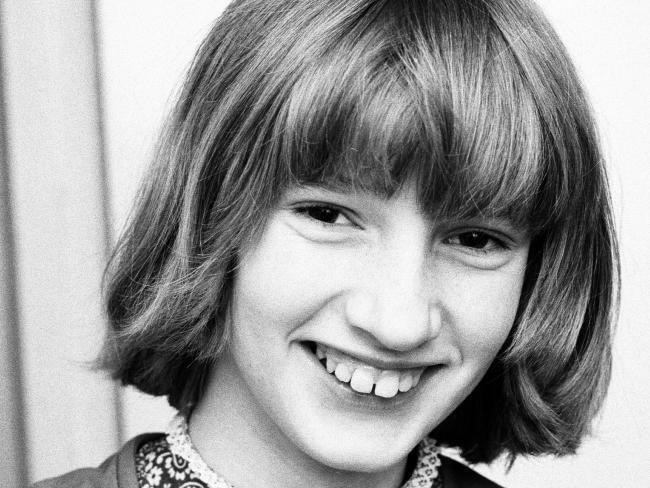 "The voice was just part of it, the girl levitated going from horizontal to vertical in a sixth of a second and furniture was thrown around the room. The house was swarming with journalists, but after four days, they were baffled and frightened and called my team for help." 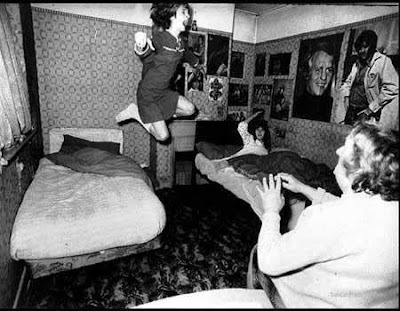 Along with moving objects, knocking and levitations, the case was to take a more terrifying turn when the poltergeist apparently took control of one of the children and began communicating through them – an eleven-year-old child seemingly speaking with the voice of an elderly man. "Two years before I died I went blind. Then I had a haemorrhage, then I fell asleep and I died in a chair in the corner downstairs". Maurice Grosse made several recordings of the paranormal events inside the home. Some aired as part of a BBC documentary and showed the lights going off on their own and a slipper flying across a room and hitting him. 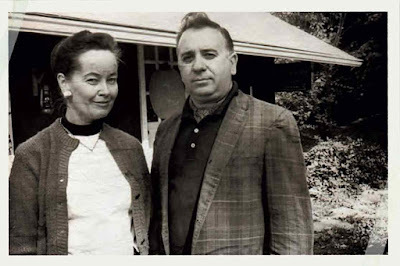 The family’s neighbours, Peggy and Vic Nottingham, also experienced the phenomena in the house. The couple told BBC they heard the knocking and Vic said a single Lego once flew up and hit him. Vick checked the walls during the first night of the haunting, but couldn’t figure out where the noise was coming from, so he called authorities to investigate. “They were as frightened as I was”, Vic said of the police. Peggy said she witnessed a pool of water appear from seemingly nowhere while standing in the kitchen, saw the bathroom door open on its own and once saw a cleaning brush set itself on the toilet. John Burcombe, Penny’s brother, who lived nearby, also claimed to have witnessed the activity. He said on camera that one night when he went check on the girls in their room, he found one of them positioned oddly on top of a piece of furniture with her leg resting on the wall and fast asleep. Others were not so convinced. 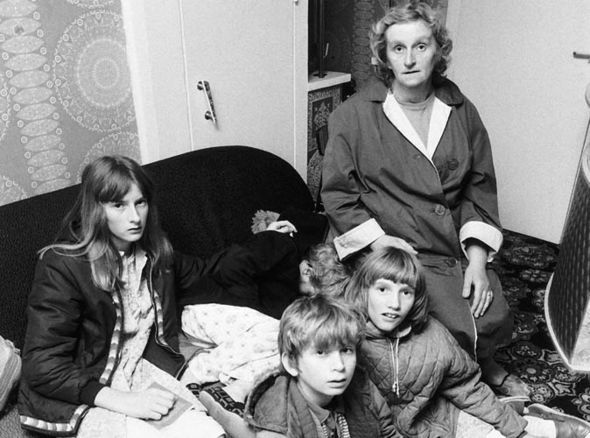 Academic Anita Gregory was skeptical of the validity of the family’s stories, noting Janet would not allow anyone in the room during her alleged possessions. In a 1980 interview, Janet admitted she faked occurrences “one or twice” to fool Grosse to see if she would get caught, and said she always would. In the BBC documentary, Janet’s sister Margaret, then 14, said all of her siblings had experienced the paranormal, but Janet faced the brunt of the activity and her voices were always stronger. It has been noted that poltergeist activity is said to heighten around youths on the cusp of adulthood. There are reports that the day Janet started her menstrual cycle two months after the haunting began, the activity “peaked”. Janet appeared to be controlled by an older gentleman named Bill Wilkins. Reports claim Wilkins was a man in his 70s who had died in the home. 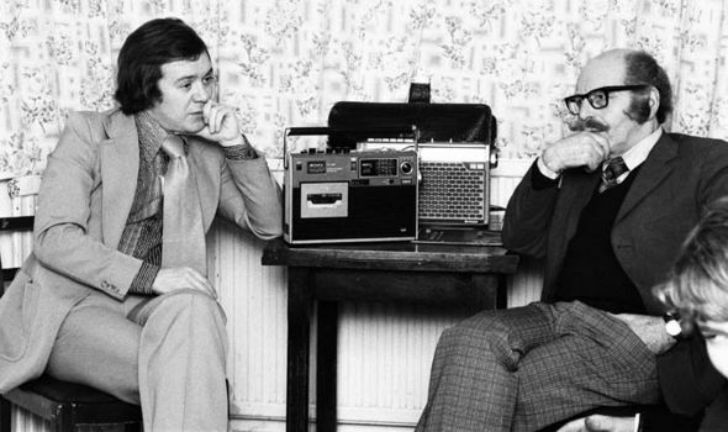 The Daily Mail said a tape of Wilkins speaking through Janet includes him saying, “Just before I died, I went blind, and then I had a hemorrhage and I fell asleep and I died in the chair in the corner downstairs”. Bill’s son, Terry Wilkins, later confirmed this is how his father died. Grosse was also able to get recordings of conversations with the spirit speaking on tape. In one video, he asks the poltergeist to knock twice to confirm if it's male and used to live in the family’s home, which it does. The spirit goes on to confirm he died “more than 50 years ago” inside the house. The spirit also says he's not unhappy, does not have a special message to share and simply enjoys torturing the family. When asked to leave, he refuses. In another video the poltergeist can be heard saying “Maurice” when asked to do by Grosse. During a BBC interview, a spirit named Stuart can be heard speaking through Janet, saying hello and trying to tell a knock-knock joke. When Janet comes back through, she says Stuart uses her to “annoy” her family. Janet said the voices feel like they come from the back of her neck, like someone is speaking behind her and not within her. Janet has also previously said that Grosse once filled her mouth her water and taped it shut and the voices still came through. 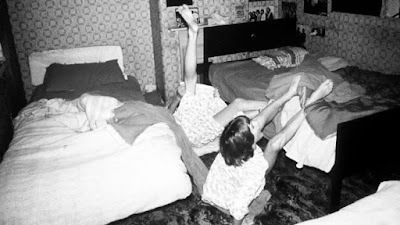 Famous photos from the haunting, captured by photographer Graham Morris, show Janet being seemingly flung across her bedroom by an invisible force. During her ITV sitdown, Janet recalled being touched by a pair of cold hands and then feeling a force pull her out of her bed that night. She said the images were captured as a camera was set up in her bedroom to record continuously. In a 2011 interview with Radio 5, Morris said it was clear the poltergeist was drawn to Janet. “You had to see it to believe it”, he said. 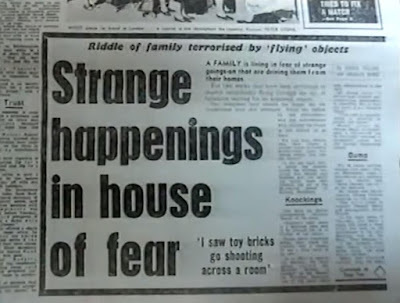 Playfair has maintained the haunting was genuine and wrote in his later book 'This House is Haunted: The True Story of a Poltergeist' (1980) that an "entity" was to blame for the disturbances, he often doubted the children's veracity and wondered if they were playing tricks and exaggerating. 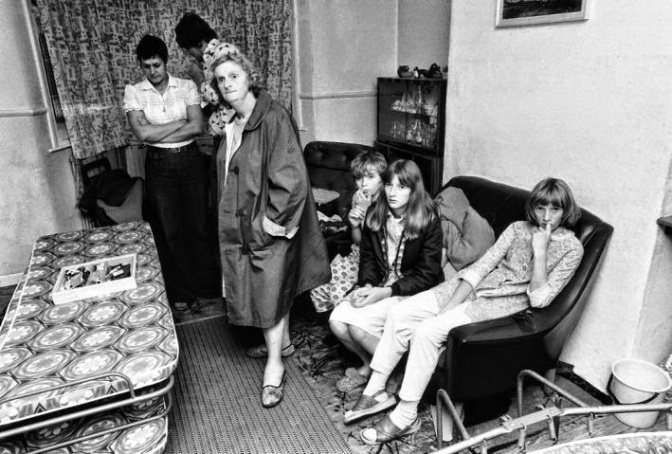 Still, Grosse and Playfair believed that even though some of the alleged poltergeist activity was faked by the girls, other incidents were genuine. In all, there were more than 30 witnesses to similar strange incidents in the home. In addition to furniture moving, they had supposedly witnessed objects flying around, cold breezes, physical assaults, pools of water appearing on the floor, graffiti, and even matches spontaneously igniting. Janet was detected in trickery; a video camera in the room next door caught her bending spoons and attempting to bend an iron bar. Grosse had observed Janet banging a broom handle on the ceiling and hiding his tape-recorder. Ventriloquist Ray Alan thought Janet's male voices were simply vocal tricks. According to Playfair, one of Janet’s voices she called "Bill" displayed a "habit of suddenly changing the topic – it was a habit Janet also had". 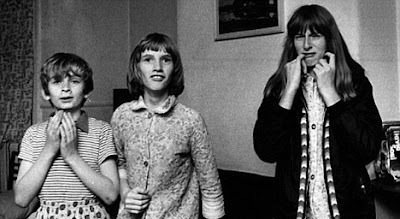 When Janet and Margaret admitted their pranks to reporters, Grosse and Playfair compelled the girls to retract their confession. They were mocked by other researchers for being easily duped. The psychical researcher Renée Haynes had noted that doubts were raised about the alleged poltergeist voice at the Second International SPR Conference at Cambridge in 1978, where video cassettes from the case were examined. 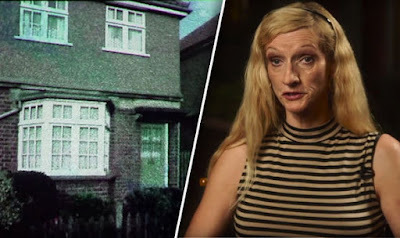 The SPR investigator Anita Gregory stated the Enfield poltergeist case had been "overrated", characterizing several episodes of the girls' behaviour as "suspicious" and speculated that the girls had "staged" some incidents for the benefit of reporters seeking a sensational story. John Beloff, a former president of the SPR, investigated and suggested Janet was practicing ventriloquism. Both Beloff and Gregory came to the conclusion that Janet and Margaret were playing tricks on the investigators. In a television interview for BBC Scotland, Janet was observed to gain attention by waving her hand, and then putting her hand in front of her mouth while a claimed "disembodied" voice was heard. During the interview both girls were asked the question "How does it feel to be haunted by a poltergeist?" Janet replied "It's not haunted" and Margaret interrupted "Shut up". These factors have been regarded by sceptics as evidence against the case. 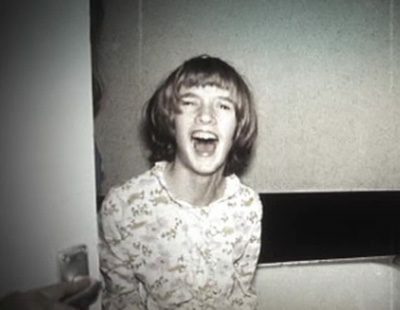 Sceptics have also noted that the alleged poltergeist voice that originated from Janet was produced by false vocal cords above the larynx and had the phraseology and vocabulary of a child. Maurice Grosse made tape recordings of Janet, and believed that there was no trickery involved, but the magician Bob Couttie has written, "he made some of the recordings available to me and, having listened to them very carefully, I came to the conclusion that there was nothing in what I had heard that was beyond the capabilities of an imaginative teenager". Sceptic Joe Nickell examined the findings of paranormal investigators and criticised them for being overly credulous; when a supposedly disembodied demonic voice was heard, Playfair noted that, "as always Janet’s lips hardly seemed to be moving." Nickell wrote that a tape recorder malfunction that Grosse attributed to supernatural activity and Society for Psychical Research president David Fontana described as an occurrence "which appeared to defy the laws of mechanics" was merely a peculiar threading jam common to older model reel to reel tape recorders. Nickell states that a remote-controlled still camera (the photographer was not present in the room with the girls) timed to take a picture every 15 seconds that supposedly "recorded poltergeist activity on moving film for the first time" was shown by investigator Melvin Harris to reveal the girls' pranks. A photo allegedly depicting Janet "levitating" in mid air actually shows her bouncing on the bed as if it were a trampoline. Harris called the photos examples of common "gymnastics", and said "It's worth remembering that Janet was a school sports champion!" Nickell also wrote that demonologist Ed Warren was "notorious for exaggerating and even making up incidents in such cases, often transforming a 'haunting' case into one of "demonic possession". In an interview with the Daily Mail, the adult Janet admitted that she and her sister had faked "2 percent" of the phenomena, prompting Nickell to comment in another publication, "the evidence suggests that this figure is closer to 100 percent". 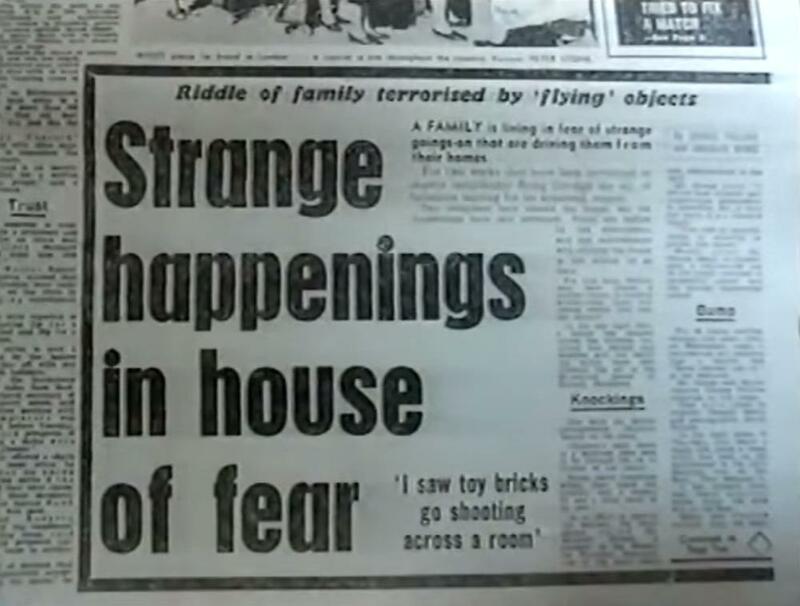 "Time and again in other 'poltergeist' outbreaks, witnesses have reported an object leaping from its resting place supposedly on its own, when it is likely that the perpetrator had secretly obtained the object sometime earlier and waited for an opportunity to fling it, even from outside the room—thus supposedly proving he or she was innocent". "the poltergeist was nothing more than the antics of a little girl who wanted to cause trouble and who was very, very, clever". "... the first thing to note is that the occurrences didn’t happen under controlled circumstances. People frequently see what they expect to see, their senses being organised and shaped by their prior experiences and beliefs". “I was used and abused”, says a now-grown Janet, “Incidents that happened were quite life-threatening for me … I think if I had to go through it again, it’d kill me”. It’s been nearly 40 years since the activity in Enfield but what happened in that house still intrigues a lot of people, whether you believe or not.